Amid the discussions and networking at IBEX 2013, the International BoatBuilders’ Exhibition & Conference, was the underlying theme that although business is better, growth is going to continue to be slow, compared with the pre-recession era. Arwood says he sensed a positive overall mood emerging at IBEX 2012 and gathering strength at this year’s show. “IBEX this year was very successful for us and is always one of the most important shows that we attend,” Arwood says. Organizers say attendance at the Sept. 17-19 event, held at the Kentucky Exposition Center in Louisville, equaled the turnout of 4,700 a year ago. Show director Anne Dunbar says the best indicator of any show’s success is exhibitor satisfaction. National Marine Manufacturers Association president Thom Dammrich says 90 percent of the exhibitors he spoke with were pleased because business was being done on the show floor. “Many high-level marine professionals — boatbuilders, engineers, designers, composite professionals and others — were networking and making deals,” Dammrich said in a post-show statement. A sampling of exhibitors reveals that they attended IBEX with different priorities — to land new business, first and foremost, but also to network, showcase new product and promote their brands. “The market will come back and we’ll be here,” says Chip Walsh, product manager at connectors and interconnect component manufacturer Molex. Walsh says his company has exhibited at IBEX for more than 15 years, even though the marine market makes up less than 5 percent of the company’s business. “The reason we come here is we don’t want builders to forget that Molex is a player, and the steady traffic this year produced several solid leads,” Walsh says. Roswell Wake-Air, a manufacturer of wakeboard towers and accessories, made its IBEX debut with a large, brightly lit booth featuring a “flying” wakeboat. “We came to further grow our brand identity and add more OEM clients,” executive assistant Callie Hardwick says. Roswell also used the show to introduce its new Neptune 8.0 marine audio speakers. Marine fabric manufacturer Bainbridge International sat out IBEX during the recession, returning for the first time since 2008. “We decided to exhibit this year because we wanted to announce our new relationship with Plastimo,” sales and marketing director Bob Mills says. (Bainbridge has been named the exclusive U.S. distributor for Plastimo.) The company also wanted to promote the November opening of a new warehouse. One of the largest exhibitor booths was that of control system manufacturer SeaStar Solutions, formerly Teleflex Marine. Cote accepted two awards at the Industry Breakfast for videos the company produced to promote its Optimus 360 product and to publicize the name change. David Halcomb, well known as co-founder of Awlgrip, now works as a consultant (CD Consultants) to promote fuel catalyst manufacturer Nano Fusion. Priority one at IBEX, he says, was to recruit dedicated regional dealers to build a sales network rather than rely on distributors and retail stores to sell Nano Fusion products. Halcomb says his goal was to familiarize company staff with the marine industry and the industry with the diesel and gasoline catalyst manufacturer. 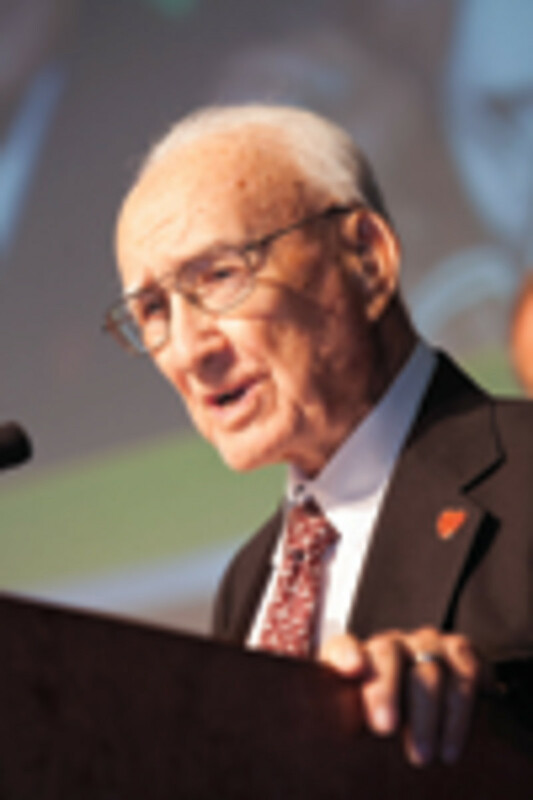 “I remember when I first tried to sell Awlgrip at $90 a gallon in 1972-73,” Halcomb says. “That was not easy — people told me it was not going to jump off the shelf, so we set up a network of yacht dealers,” he says, comparing the Awlgrip experience with the Nano Fusion education and marketing plan. While at the show, Nano Fusion signed up John Greviskis, founder and host of “Ship Shape TV,” as a spokesman. 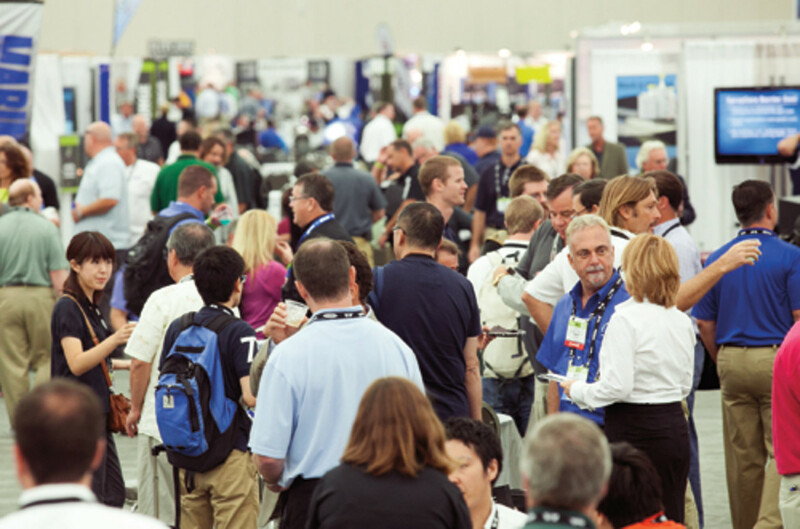 Whatever the motivation for attending, exhibitors say they believe IBEX is a show they must attend. “The atmosphere of the show lends itself to relaxed, unhurried conversations and also gives us an opportunity to mix after hours, which is something we don’t get when we travel from account to account during a typical business day,” Centek’s Arwood says. Halcomb says he stressed to his clients at Nano Fusion that new business is not just found at your booth. 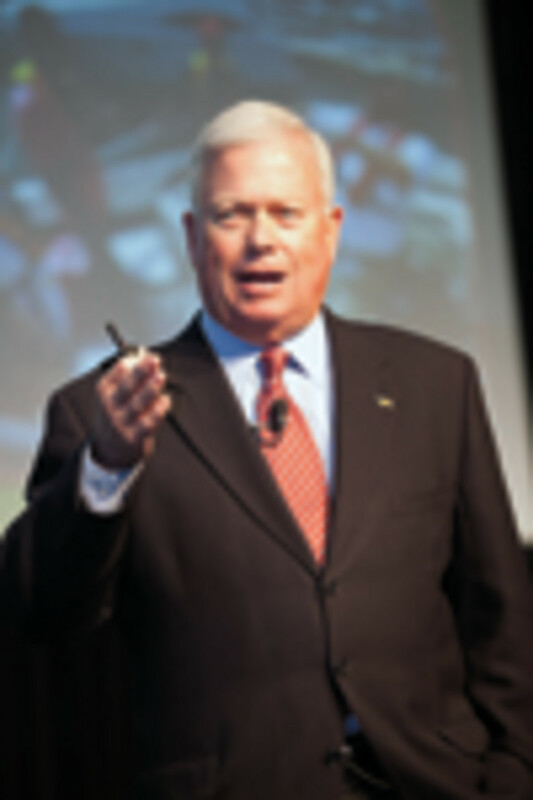 Ned Trigg, senior vice president of global system sales at Dometic, was showing conferees the company’s large display, which showcased seven new products, including the Orbit 7100 Series MasterFlush Toilet, which won an Innovation Award. Simon Dube, plant manager for the Canadian windshield manufacturer Veralex, says the company’s new frameless windshield was a hit with OEM manufacturers. Dube says shows such as IBEX are critical to his relatively small company in competing with larger manufacturers such as Taylor Made Systems. Taylor used the show to introduce the next-generation version of its Eclipse-series frameless windshields, which were first introduced in 2006. Among the hundreds of new products introduced at the show, Raymarine used IBEX to launch its new engine and drive-by-wire steering interface, ECI-100, and has high expectations for the OEM product, pointing to partnerships with Yamaha, Caterpillar, Yanmar and Volvo Penta. Elco Motor Yachts introduced its first 100-hp electric motor (a 70-hp model was previously Elco’s largest) for a target market of displacement hulls, primarily sailboats as large as 70 feet. Senior vice president of sales and marketing Kevin Kearns says part of the motivation for attending IBEX is educating the industry about the viability of electric propulsion. Greg Miller, vice president of sales at PierVantage, attended his second IBEX to promote the marine-specific company, which develops cloud-based solutions for boatbuilders and boatyard service centers to safely secure data off-site. Just days after the show, cruising catamaran builder Gunboat International said it had hired PierVantage to run the company’s production boatbuilding business. After four consecutive years in Louisville, IBEX shifts to Tampa, Fla., next year and will then rotate annually between Louisville and Tampa through 2016. 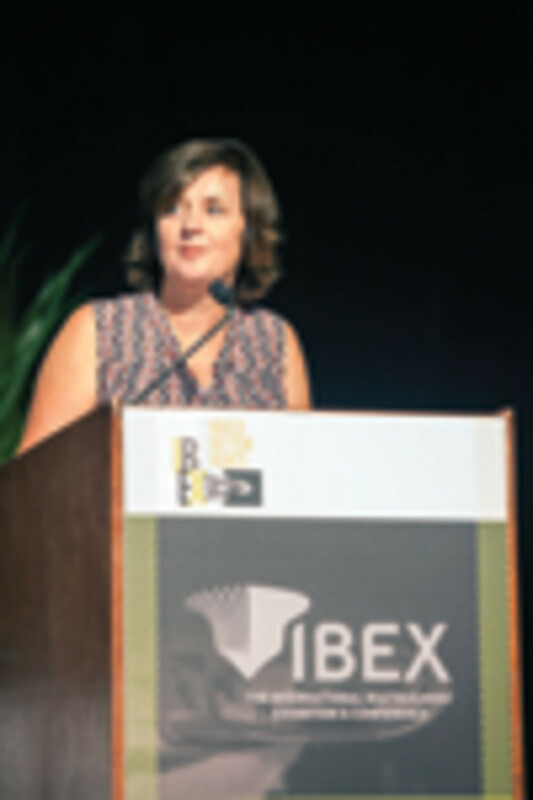 IBEX 2014 will be held Sept. 30-Oct. 2 at the Tampa Convention Center. Some exhibitors welcome the decision by show co-owners NMMA and Professional BoatBuilder magazine to return to a Florida venue. Trigg says he hopes the Tampa venue will attract more international companies.